ĦREJJEF – Maltese folktales is a captivating interdisciplinary production which brings together traditional stories, shadow puppetry, contemporary music and digital animation. 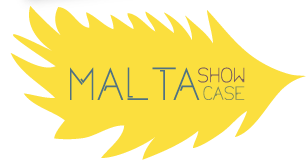 At its core lies a collection of four Maltese folktales, presented in the style of a traditional storyteller accompanied by a live piano recital that acts as a soundtrack to the stories. The animations have been developed to reflect the style of shadow puppetry. While the actor narrates the folktales, a video sequence is projected as a backdrop to the performance and the characters of the stories come to life on the screen. ĦREJJEF hija produzzjoni interdixxiplinarja li tgħaqqad stejjer tradizzjonali, shadow puppetry, mużika kontemporanja u animazzjoni diġitali. Fil-qalba tagħha hemm kollezzjoni ta erba’ ħrejjef Maltin, ippreżentati fi stil ta’ narratur tradizzjonali akkumpanjat mill-mużika minn pjanu li jindaqq live bħala soundtrack għall-istejjer. L-animazzjonijiet ġew żviluppati biex jirriflettu l-istil tax-shadow puppetry. Filwaqt li l-attur jirrakkonta l-ħrejjef, sekwenza ta’ vidjo tintwera fl-isfond u l-karattri tal-istejjer jieħdu l-ħajja fuq l-iskrin.